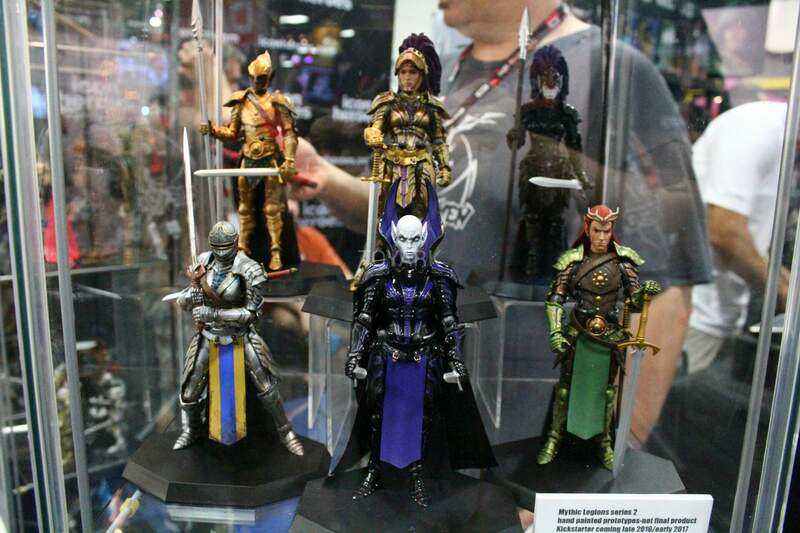 Four Horsemen Studios has teased their fans with a video letting us know about a Kickstarter campaign for the next offering of Mythic Legions action figures. 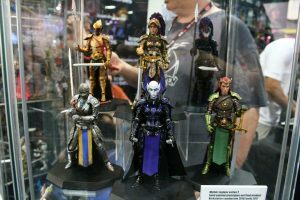 The Kickstarter is slated to start January 27th, 2017, titled Mythic Legions 2.0: Advent of Decay. 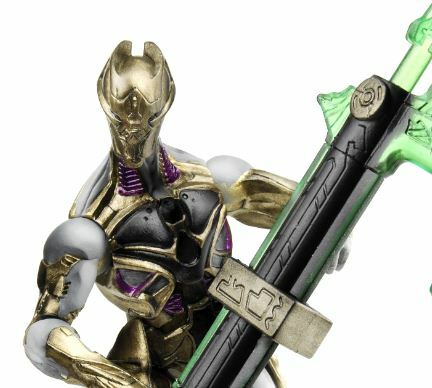 This Kickstarter will likely feature many of the figures we saw at SDCC 2016. 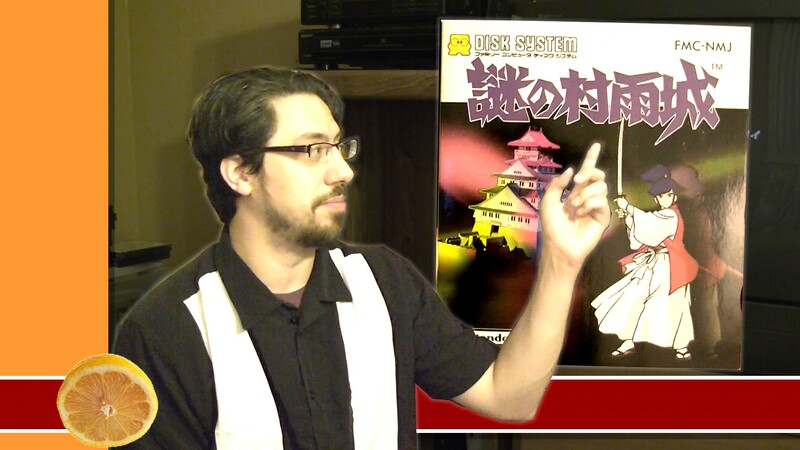 That display can be seen below in a photo from ToyArk’s coverage. Notably, most of the figures in this display are female, which should help supplement the current all male line-up. 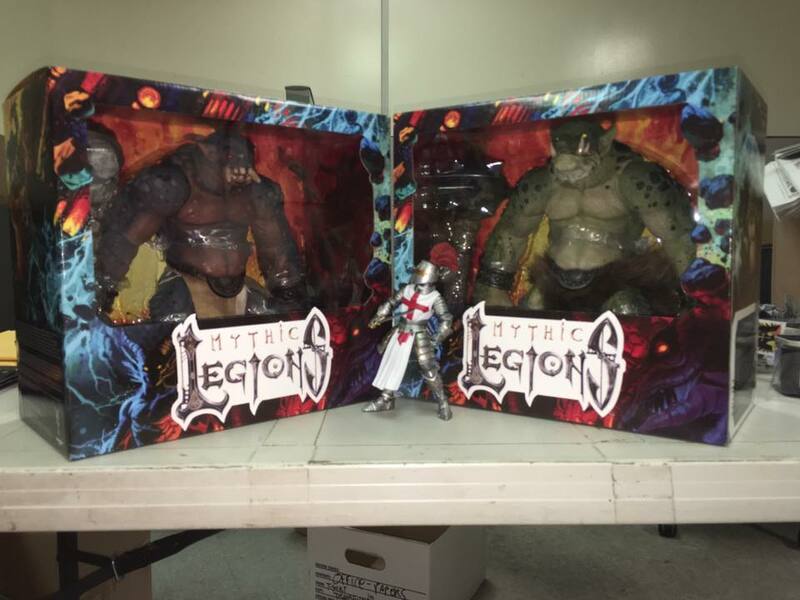 In addition, one of the Horsemen posted a picture on Facebook showing off the Mythic Legions Trolls in packaging next to a normal size figure. The Trolls are in their warehouse and being prepped for shipment. 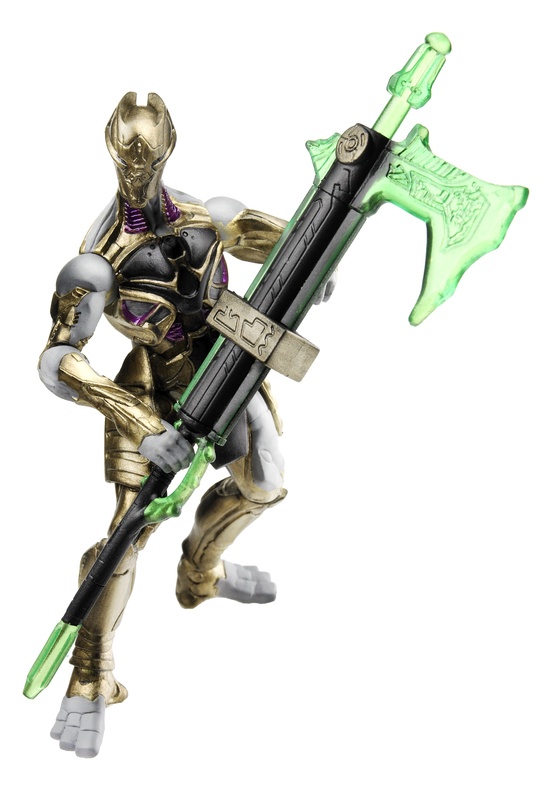 Some Poweteers may remember we did a PowetToys episode on the OMFG! Series 1. Standing for Original Mini-Figure Guys, the line featured two more follow up waves with many exclusive variant colored sets available at various online toy retailers. 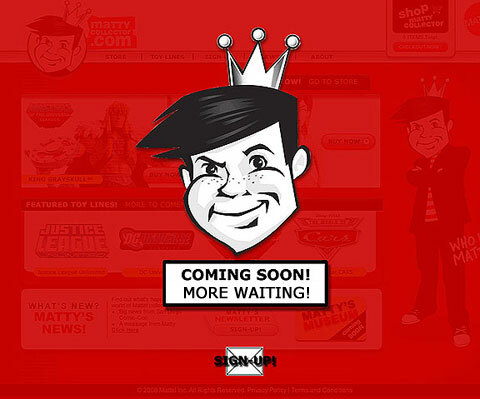 George Gaspar of October Toys, has posted a new Kickstarter for Series 4 of the line. Five new designs based on community submissions have been selected and sculpted. The Kickstarter ends on October 17th. Be sure to back it to get the Kickstarter exclusive black set of figures! Here is the Kickstarter page. Join us after the jump to see all the unique designs available in this kickstarter campaign! 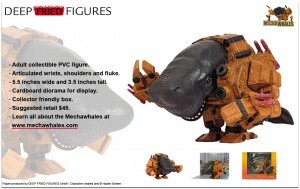 A group by the name of Deep Fried Figures has made a new line of PVC figures called Mechawhales. 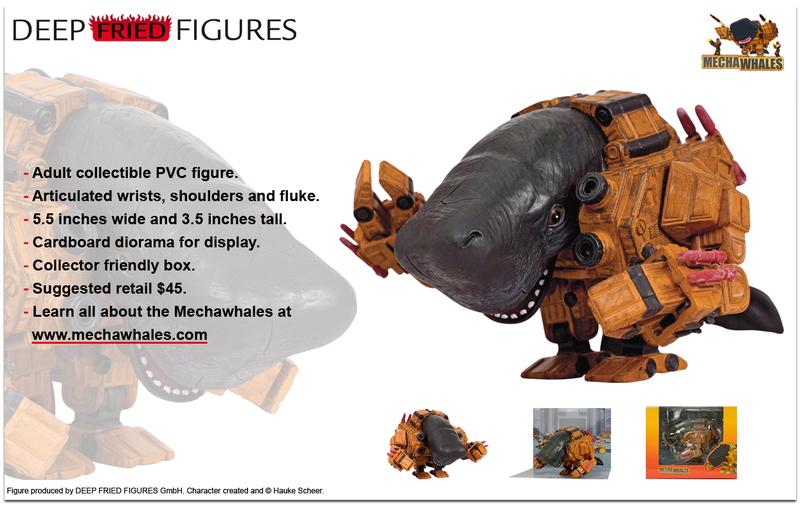 As you might imagine, it features giant whales in equally large mecha suits. They are about 3.5 inches tall and 5.5 inches wide featuring articulated shoulders, wrists, and tail (fluke). They are rather pricey at $45 a piece, but if that video above (and the one after the jump) doesn’t sell you on them, I’m not sure what will. You have to give credence to the creativity and ridiculous concept of this project. Join us after the jump for more pictures, video and the press release! 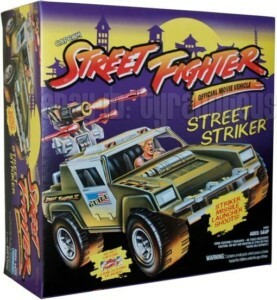 You can this in the ‘creative use of toys and games’ category. A band by the name of Delta Heavy has put together a fantastic stop motion animated music video. The feature includes appearances of Connect Four, Battleship, Jenga, Hungry Hungry Hippos, Scrabble, Dominoes and more. 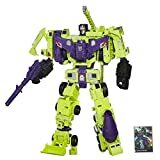 Hasbro has sent along two additional images to us. Each photo is of a 3 3/4 inch figure from the movie toyline for The Avengers. 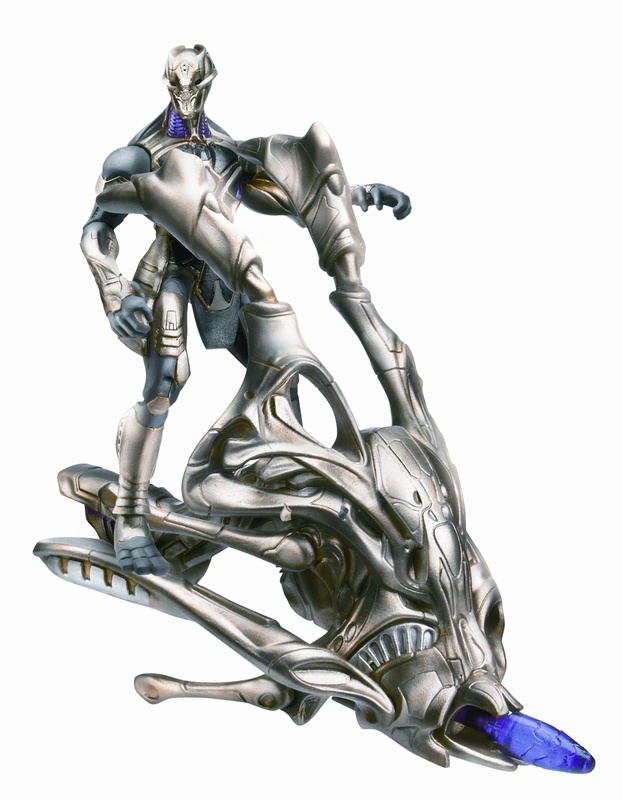 The two figures are soldiers in Loki’s army. One is a standard soldier, the other is part of a Power-Up Mission Pack with additional accessories including aerial speeder of some sort. ToyGuru aka Scott Neitlich, the Mattel brand manager for Masters of the Universe Classics, has posted a message on the MattyCollector forums to address some of the rumors swirling about after a number of unclear Q&A’s. Read what Scott had to say after the jump.